Mandala Shoes has a history of more than 30 years making it a very special place where tradition and innovation come together. Our commitment to pursue excellence creates a shoe designed to last. Each individual component is essential for the creation of the final product. The quality of materials and the rigorous attention to detail ensure an authentic and creative product of high quality and durability.We utilise the Goodyear sewing technique for all our footwear. This is an artisanal process, which continues to be the best method for achieving the manufacturing excellence required for great shoes. This ensures our high standards of comfort, insulation, flexibility and unparalleled endurance for each piece produced. In our workshop in Santanyi we produce shoes, half-boots and boots to measure, fitting the creation of the shoe with the individual foot and considering each client’s style choices. We carefully carry out and control each production step taking advantage of our vast experience and artisanal skills, along with technological innovations to attain elegance and most importantly comfort. We have a great variety of models, exceptional materials and a wide selection of top-quality leathers available, including exotic leathers such as snake skin, iguana and crocodile. 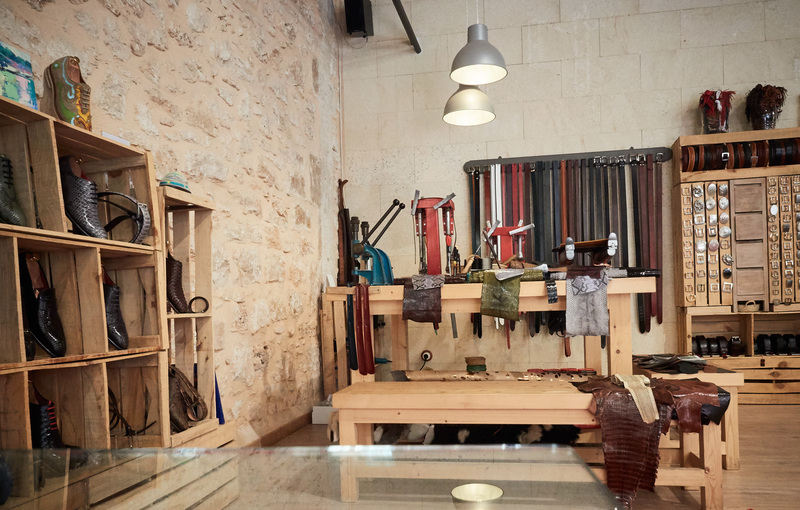 We offer leathers treated naturally by vegetable tanning that are free of chrome and thus especially suited for persons with allergies or who have problems with sweaty feet. The end result of this personalised footwear is based on the natural traits of materials, style, unique taste and individual requirements selected by the client, accompanied by the best advice and exclusive treatment.